There's an innocence in NeEMA's music that blankets you like the feeling you get moments after an afternoon rain shower. That breath of fresh air. That cool sensation from a slight breeze on your skin. It's as though the rain has just washed all your troubles away. And it's a moment you wish could last forever. Now, if you can capture all that and put it to music, that's what NeEMA's music would sound like. In Watching You Thi nk, NeEMA is able to reveal so much with so little, her simplicity in her songs, exposing vulnerability and a sense of yearning that can only be expressed privately and safely inside a room – the only thing is, it's a room surrounded by glass for all to see. And it's this openness that breathes authenticity into NeEMA's songs. Just listen to "Running," "Lost in LA," and "Elsa's Lullaby" with their shy guitars complimented by NeEMA's fragile vocals. "Escape," and "Stay," are the upbeat pop songs that highlights the album heavy with soft ballads. But in this collection of 12 songs, NeEMA's strengths lay in her ability to weave simple and catchy melodies that borrow from folk, jazz and pop. She even puts her delicate touches on her rendition of "Romeo and Juliet." 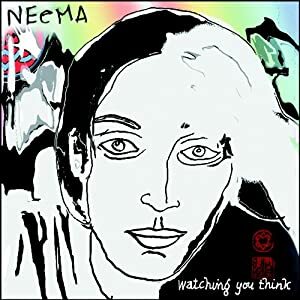 Produced in association with Leonard Cohen and Pierre Marchand (Sarah McLachlan, Ron Sexsmith), "Watching You Think" follows NeEMA's debut album, Masi Cho, which she released independently to rave reviews in 2006 and has since performed around the globe. Currently, NeEMA is on a 25-city North American tour with the Chapin Sisters that began in New York and finishes up in California in December. Be sure to check her out. You definitely won't be disappointed. 11/14 – Evanston,IL @ S.P.A.C.E.